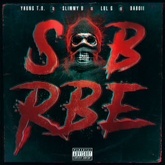 Listen to SOB x RBE's top songs like Always, Carpoolin' (Produced by Joe$$), Anti Social (Produced by Don Juan) on EDM Hunters. The list is updated daily to include all of SOB x RBE's latest songs. The songs on this are ordered by number of likes, plays and downloads. Like your favourite songs to make your vote count. What's your #1? 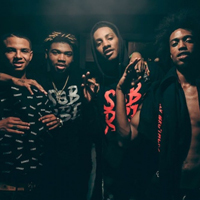 SOB X RBE (an acronym of Strictly Only Brothers x Real Boi Entertainment) is an American music group originating from Vallejo, California. The group currently consists of four members: Slimmy B (Jabbar Brown), Lul G (Graham Harris), Yhung T.O. (Juwon Lee) and Daboii (Wayman Barrow). The group has released four complete projects: a self-titled mixtape in 2017, a debut album Gangin in 2018, an EP with Big Money and a second album Gangin II in late 2018. The group found mainstream attention after being featured on the track "Paramedic!" for the 2018 superhero film Black Panther. The group has gone on multiple tours around the United States and have been interviewed multiple times by The Fader and Billboard. 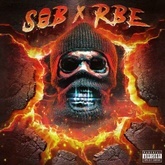 Listen to SOB x RBE's top and latest Hip-Hop / R&B songs, watch videos and discover DJs similar to SOB x RBE on EDM Hunters. Like your favourite songs to make your vote count. What's your #1?